Maybank introduced Maybank Ikhwan mastercard which the credit card holders can get 5% rebate on petrol and groceries on Friday and Saturday. Malaysians with a minimum annual income of RM 30,000 is eligible to apply the credit card. 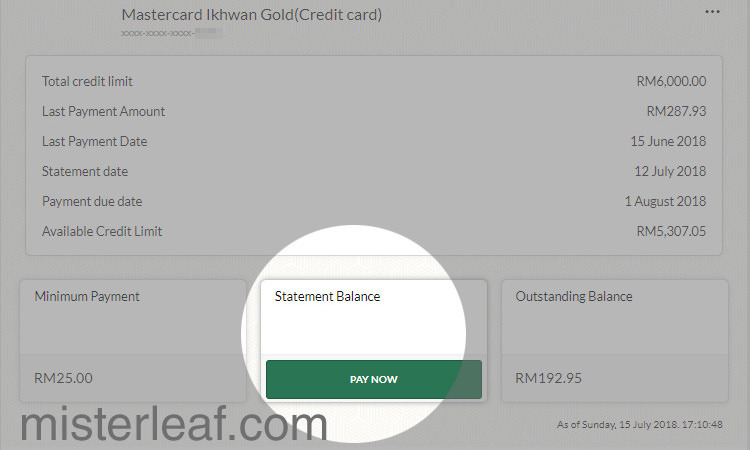 Today, I will show you how to pay the Maybank Mastercard Ikhwan credit card online through the Maybank2u.com new version step by step. We don’t need go to any branch of Maybank for paying the credit card bill. Instead, we can pay the bill anytime and anywhere using Maybank2U. 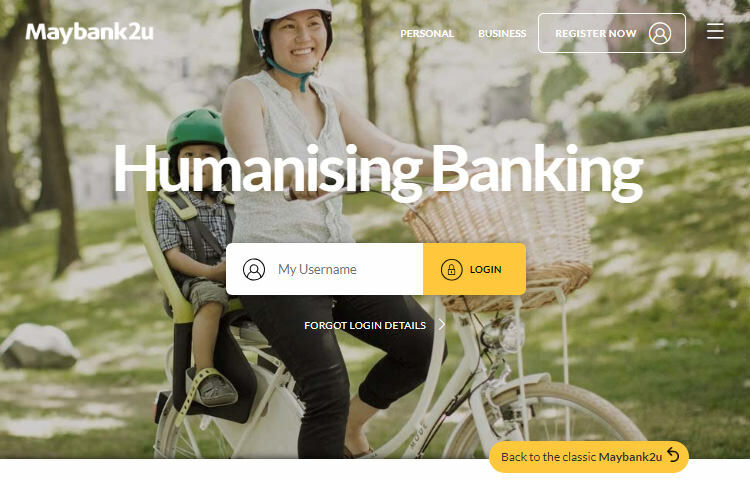 Recently, Maybank introduced and launched the new Maybank2U website. So, I will show the methods using new website. 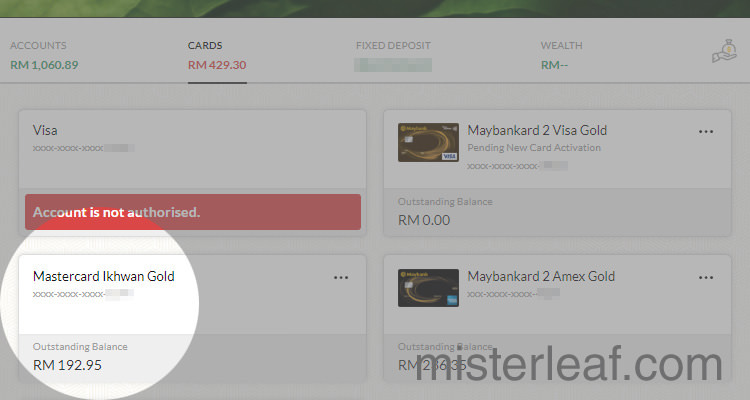 Besides Maybank Mastercard Ihkwan, the same methods can be used to pay others credit card like Maybank AMEX (American Express) and VISA credit card. 1. 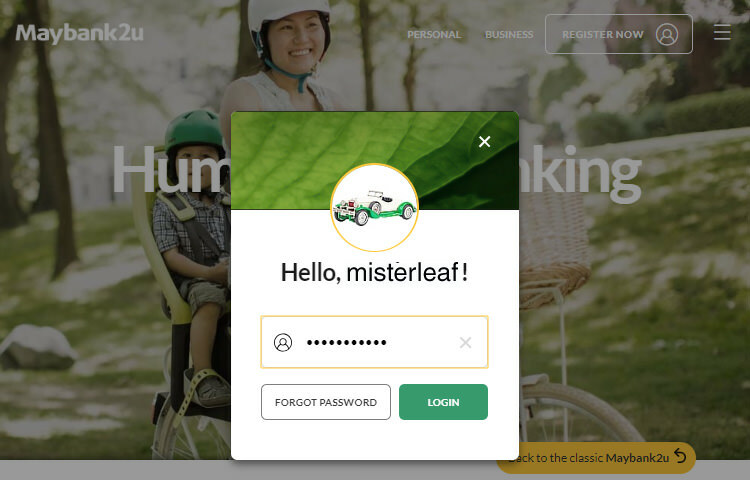 Login to our Maybank2u.com account. 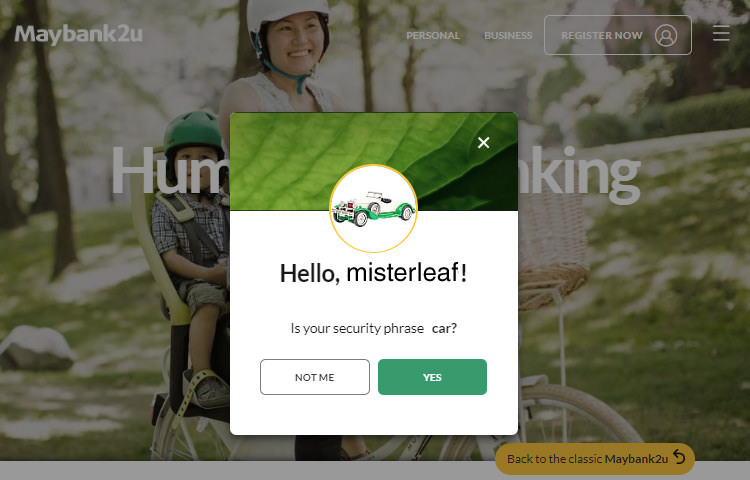 Type in the username and password. 2. 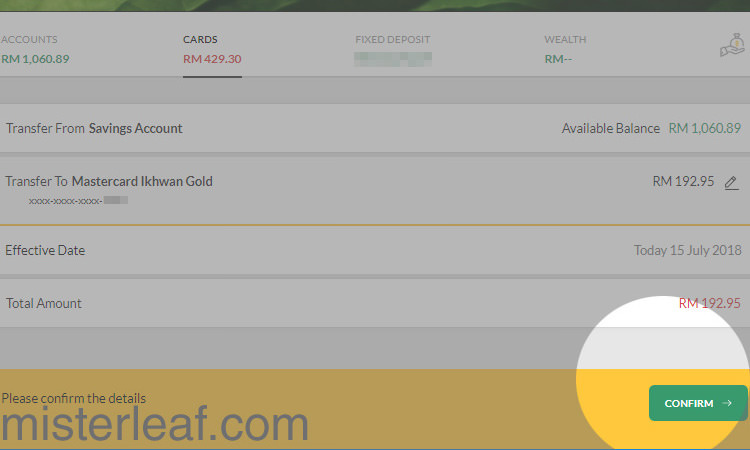 After login, we will see the task bar on the top that showing our accounts, cards, fixed deposit and wealth. Click “Cards” and all the cards will be shown. 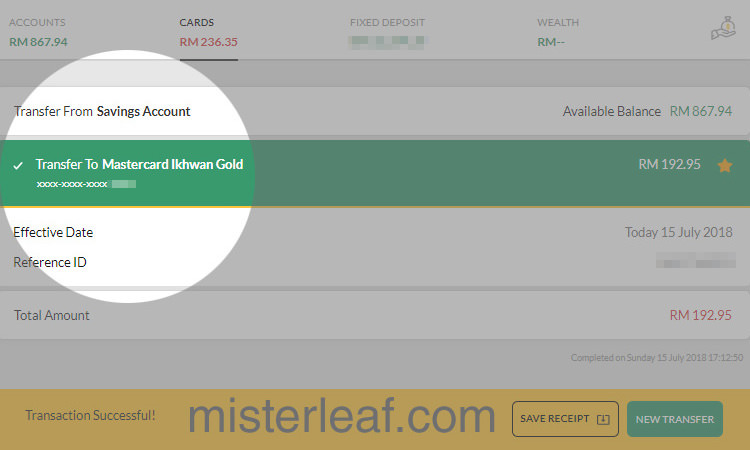 Click “Mastercard Ikhwan Gold”. 3. 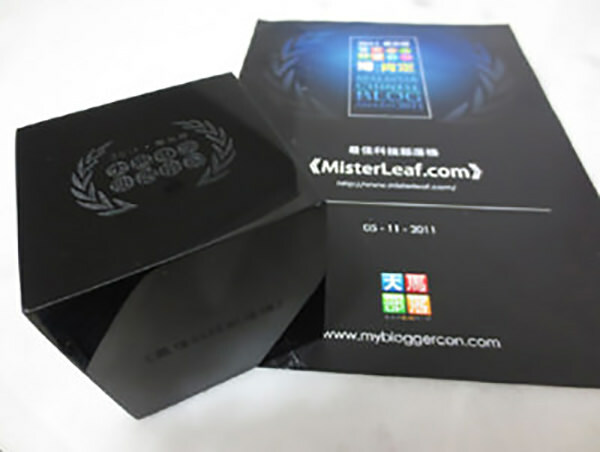 The details like last payment, statement, available credit limit etc will be shown. Click “Pay Now” in “Statement Balance” column. 4. 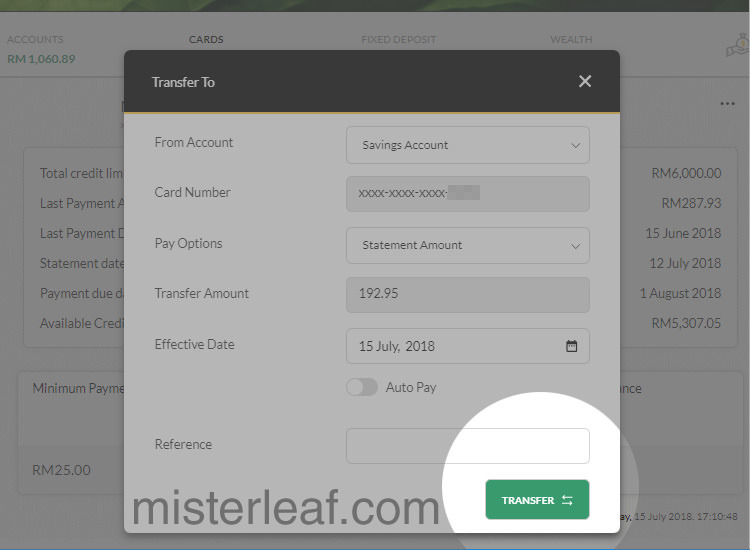 Click “Transfer” to transfer the money from our saving accounts to the credit card accounts. 6. Success and we can save receipt by click the “Save Receipt” button on the bottom.